With the built-in SuiteCRM or SugarCRM advanced tools for filtering searches results, you can extract useful information about the safety of your CRM system and the very specific behaviour of your users. For example, making a search by “Typed Name” you can recognize if the “Locked-out” event happened because of o mistyped input of if your system is under attack. 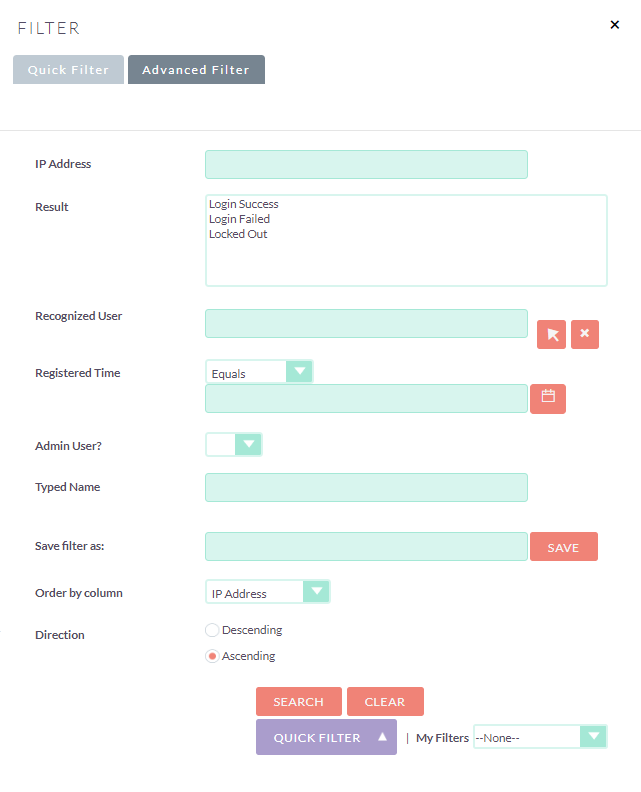 Filtering only “Login Success” results, you could also keep under control your users activity.